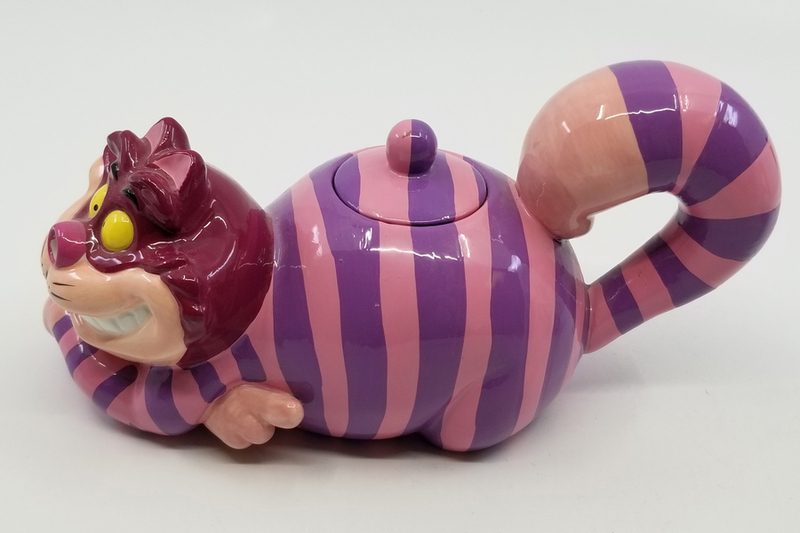 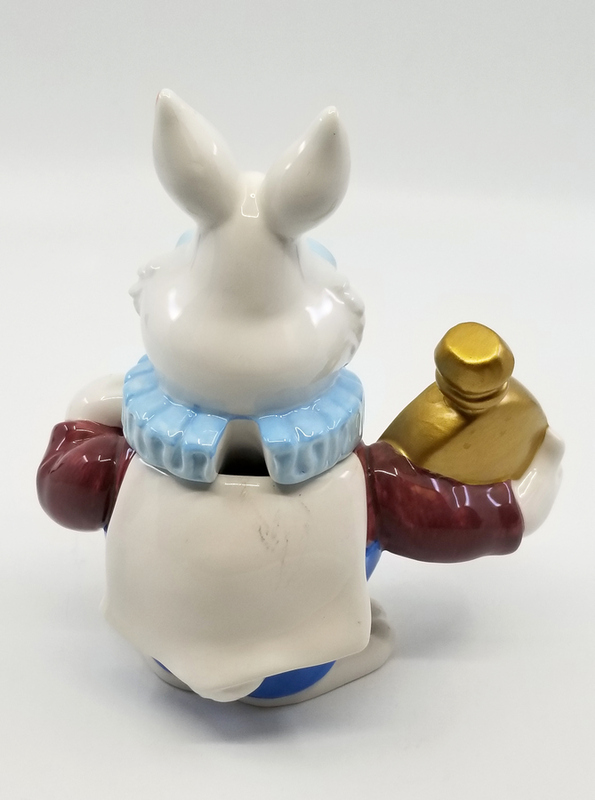 Rabbit 6" x 5.5" x 3",Cat 4" x 7" x 3.25"
This is a set of kitchen ceramics depicting the Cheshire Cat and the White Rabbit from the classic Disney animated feature, Alice in Wonderland. 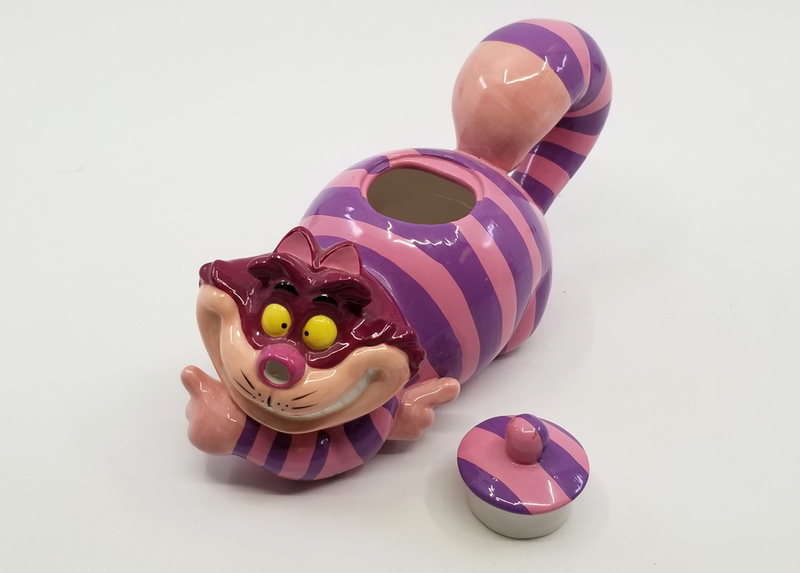 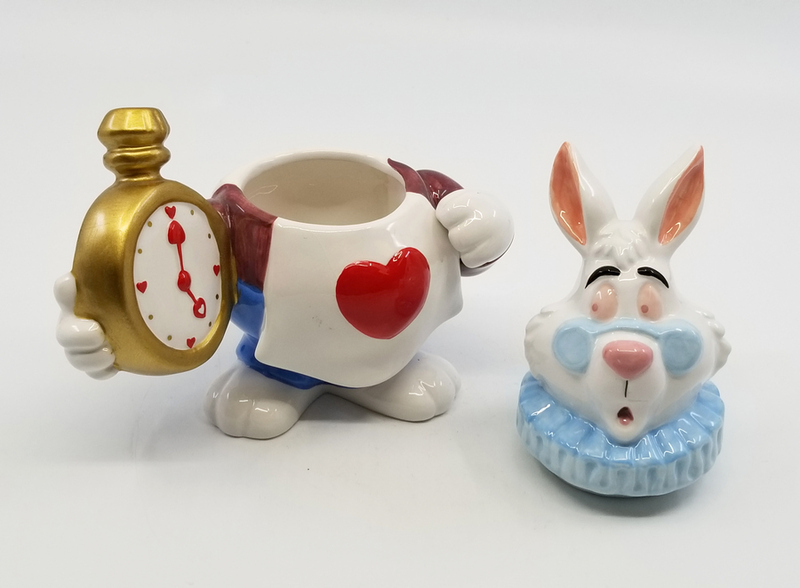 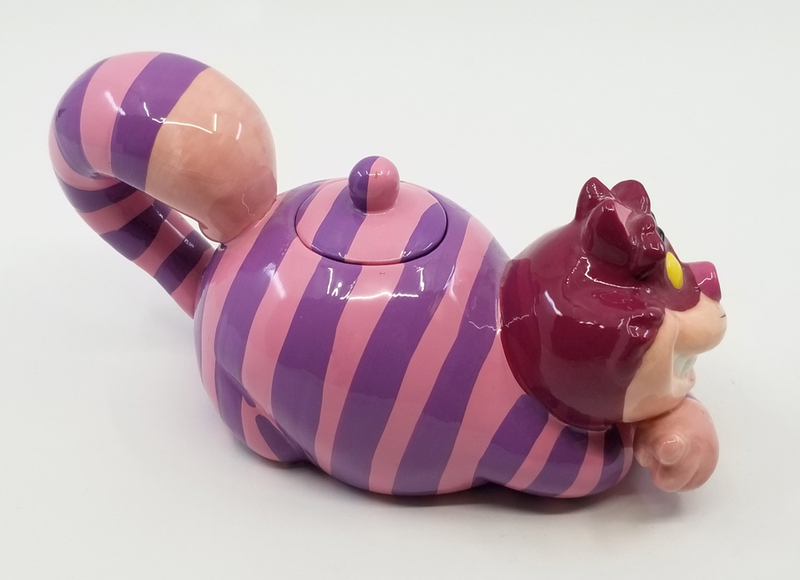 The set includes a Cheshire Cat creamer and White Rabbit sugar bowl. 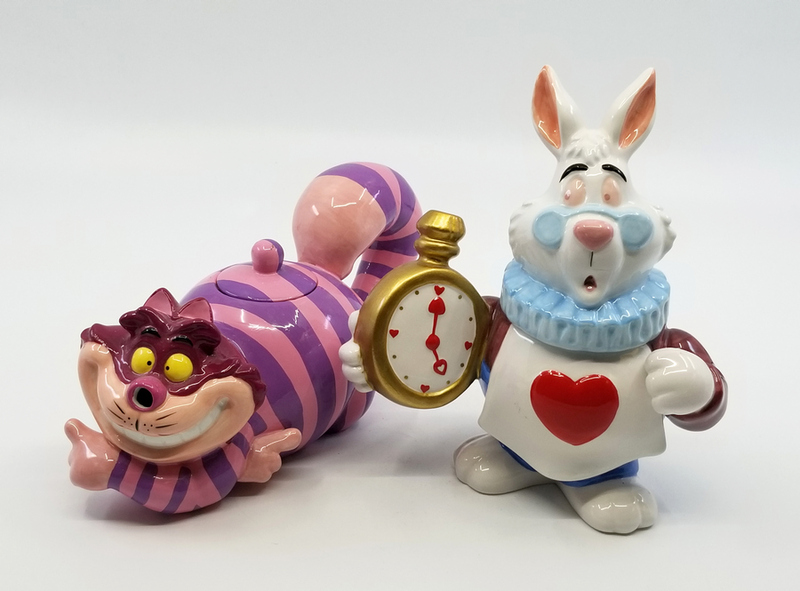 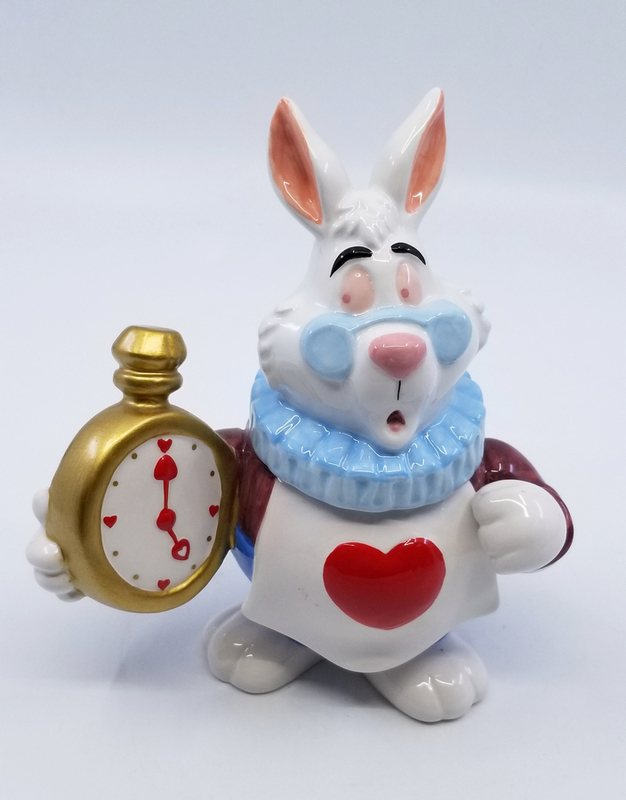 These piece were released in the 1990s and measure 6" x 5.5" x 3" for the White Rabbit and 4" x 7" x 3.25" for the Cheshire Cat. 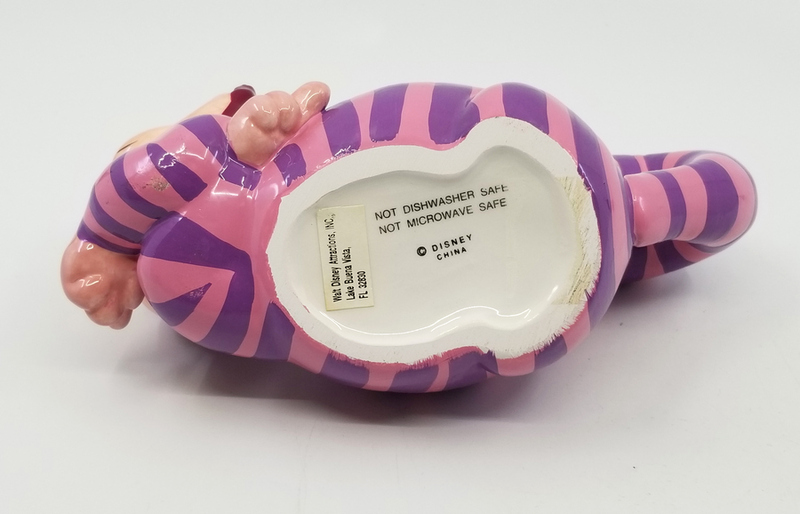 Both pieces are in very good condition.